Just to keep it out of the 2016 presidential race thread, here you go: a thread dedicated to discussing socialism, communism, anarchism, the history thereof, and the future thereof in general. About Stalin and scale of reppressions, i'd highly recommend to read not Cold War propagandists like Solzhenitsyn or Conquest, but real historians working with real documents, and the most authoritative of them was this this guy (alas, died this summer). His small humble article, based on NKVD archives and written in dry academic style, completely destroyed the myth about "tens millions of reppressed" & caused a huge shitstorm amongst our Russian anti-communist public. There were numerous (failed) attempts to disprove him scientifically or discredit him personally. Alas, as it turned out, the humble historian knew how to bite back... Now he has became a sort of taboo: "if we failed to disprove him, let's just calm down and forget him". Interesting that Robert Conquest (also recently died, as far as i know) was honest enough to admit that "research of Victor Zemskov was mostly correct" while Solzhenitsyn lived and died with his idea of "tens millions victims of Stalinism". There is well known number of Soviet losses during WW2 - 26-27 million people. That's why nearly every Soviet/Russian family (incl. my own) remember at least someone fell in this war. Other hand, if crazy Conquest's calculations (15 million of executed one way or another) were true, then my family or families of my friends should also remember someone affected by repressions... plain and simple, isn't it? Yet, for some strange reason, i personally never heard about such family stories... only don't tell me that "everyone still keeping it in secret", OK? 1) that the specific weight of those who experienced soviet repressions from the part of the population living in 1918 - 1958 makes 2,5% (about 10 million in relation to over 400 million). "It means that 97,5% of the population of the USSR weren't exposed to political repressions in any form". I specify that the scientist considers broad interpretation of the concept "victims of political repression for political reasons", including in it deported, dispossessed, undergone "cleanings" for social motives, etc." "In the last quarter of the century on concealment of this unbiased fact all power resources have been used. Everything what is possible and impossible is done to keep the false representation introduced in a mass consciousness that allegedly all or nearly all people were exposed to various repressions. On this "Black Myth" the younger generation of our people has grown". to most of people the Stalinist system provided opportunities of career development and active participation in public life"
PS for those of you who wonder: why is it PhoenixRu suddenly switched to defending Stalin? I'm defending not Stalin, i'm just a history lover & just sick of myths (be it soviet or anti-soviet ones) and of aggressive ignorance of those who spread these myths. Seriously, i don't know much about details and nuances of British or Arabic history therefore i just try to avoid such debates, to not expose yourself to ridicule. Why don't you do the same? When, based on your myths, you're trying to ridicule and humiliate Stalin, you're actually humiliate yourself... yes, only yourself. You realise these things always turn into massive echo chambers, rigth? I believe that is the point. To cycle and reiterate the same opinions of a person's repeatedly to create an illusion that they have the majority on their sides and their arguments have no flaws? Why would anybody do that? Because people are greedy. Humans strive for power; as I have witnessed. And I concur with Yuli on a different post: communism never existed. So yes: communism is an illusion of a utopia that could never be. At least I think it was he who said that. It may have been someone else. I think capitalism doesn't work. But I'm through arguing, nobody wants to listen. No, it works, but as it turns out, that's a bad thing. Page 27 in the pdf. I'm not talking about the USA. I'm not talking about Russian criminals. I'm talking about the total number of people who were in Gulags and labor camps. The source doesn't provide much on total number, and I did add prisoners, but not prison population. Instead I added the total number of people in Gulags who either were released, escaped, died, sent to prison or to another NKVD administration. 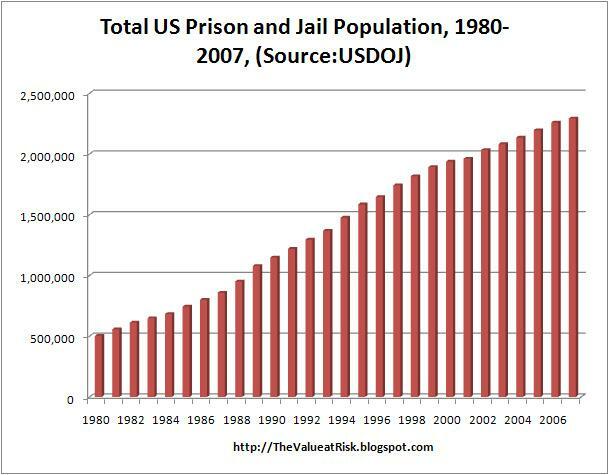 While this is not an accurate representation of the total population, it is much more accurate than just adding total prison population of each year. Because some people stay in Gulags for years, it's not accurate to count yearly total prison population. The inaccuracy in counting those who leave Gulags is that it doesn't count people who didn't leave the Gulags after 1953, and doesn't include second time visitors. On page 27, there is a chart I described with the released, escaped, etc. For all years the number of people who leave Gulags is greater than about 400,000. 4 years have that at more than 1,000,000 who left Gulags. The chart shows 20 columns representing years. So, 16 years have it at greater than about 400,000 leaving gulags. This equals a total o 6.4 million in those who left Gulags. Add it with the last 4 which are greater than 1,000,000 and you get 10.4 million in those Gulags. I'm sure there is considerably more than very my crude estimate. Anyways, this is all taken from study Zemskov published in 1993. I can't read his book because I can't read russian and I can't find an online translated copy of it to make sure of the accuracies in the forum post you linked. I'm not talking about Russian criminals. I'm talking about the total number of people who were in Gulags and labor camps. Wrong, you just did... Your own article called "Victims of Soviet penal system in the pre-war years" & you automatically assumed that those victims were the political prisoners only. So, 16 years have it at greater than about 400,000 leaving gulags. This equals a total o 6.4 million in those who left Gulags. Add it with the last 4 which are greater than 1,000,000 and you get 10.4 million in those Gulags. So... 400 thousand of released each year only means they were the people with short prison terms (petty criminals or something like that). Yes, this is a problem for me... 99% of people in this forum can not (or will not... or will not trust...) the sources i can provide. In the immediate aftermath of Lenin's death, Stalin changed policy positions several times not out of conviction as to what course was right for the Soviet Union, but based on what position would best help him to eliminate his rivals for power. This reason of "eliminating rivalry" is really just propaganda, plain and simple. The party voted many of Stalin's rivals out. Stailn...is an unprincipled intriguer who subordinates everything to the preservation of his power. He changes his theories according to whom he needs to get rid of at any given moment..
Once a leader in the Russian Communist party, Bukharin was executed after a show trial in 1938. ...of the 139 members and candidates of the party's Central Committee who were elected ant the Seventeenth Congress, 98 persons, that is, 70 percent, were arrested and shot (mostly in 1937-1938). I haven't read the Khrushchev Secret Speech in full, but as far as I know, in it Khrushchev basically just throws a bunch of wild accusations about Stalin which don't (again, as far as I am aware) have real evidence behind them. In fact, this speech is actually often used as evidence itself, just have you have done above. PhoenixRu has already explained the whole thing about the so-called "Stalinist Terror" which has been greatly exaggerated by 'Cold Warrior' historians, particularly the late Sir Conquest who was actually paid by the MI5's Information Research Department to produce misinformation. Several other historians, even including anti-communist ones, have discredited Conquest's work as "sloppy and dishonest", for example, J. Arch Getty is one such example of a historian (not an anti-communist one, however, just a neutral one) who has refuted Conquest. Again, I'm not exactly an expert on Bukharin but the same thing has been done whereby he is purged and then the propagandist historians immediately reach a conclusion of "Oh, this man was purged? He must have just been a threat to Stalin" as opposed to actually examining why he would be purged instead of inferring why. Like I said, I'm no expert on Bukharin but I do know he became a Menshevik and this was the vastly unpopular political line in the party and this could be regarded as "corrupt" or being some sort of "bourgeois infiltrator" or "saboteur", perhaps it may have been wrong to purge Bukharin, perhaps it may not have been. I don't know. The purges were a chaotic time; it's often hard to follow exactly who was "innocent" and who was "guilty". ^^^ Well, I am sorry if my posts have caused you flashbacks of whatever traumatic experiences that you suffered while reading the works of Sir Conquest. I do feel it noteworthy to point out how many of my sources are from the east of folk well acquainted with Marxist theory. For the purposes of this discussion, I count Poland as being of the east (Deutscher and Kolakowski). Bukharin was a communist who at one point vied with Stalin for leadership of the Soviet Union. Ditto Trotsky. When Kruschev gave his speech, he was in the process of consolidating his leadership of the USSR. I doubt that any of these individuals were MI5 operatives. As for PhoenixRu's explanation, his chart shows that the number of political prisoners during the time frame it covers fluctuated between 104,826 to 578,912. Even if you accept those numbers as accurate, and I have no basis at this point to challenge them, that still amounts to a regime that was highly repressive. Toward what end? In his speech, Kruschev is also critical of Trotsky and Bukharin. Trotsky and Bukharin were also rivals to each other. The one thing that all of these sources seem to agree on is the dictatorial nature of Stalin, and the opportunistic nature that allowed him to rise to power. Given the cynical and self-serving nature of Stalin's methods, it is difficult to believe that only he truly channeled the Marxist-Leninist spirit, or that if he did, that it can be taken as anything but a severe condemnation of Marxist-Lenist methods. The one defense that does seem open to Marxist-Leninists is that Lenin's testament warnings regarding Stalin should have been taken more seriously. At any rate, while the rest of us wait for what will undoubtedly be a rapid response from you to these point, I thought that by way of the link below, I would bring in a musical interlude for our entertainment. Please forgive the bourgeois commercials that have to be waded throught to get to that entertainment.